Female wingless. Body, legs and antennae largely yellow. Head longer than wide; eyes reduced to about six ommatidia; ocelli not present; postocular setae long and pointed, wide apart; maxillary stylets retracted to eyes, close together medially. Antennae 8-segmented; segments III–IV rather truncate apically, each with two short sensoria; VIII constricted to base. Pronotum without sculpture medially; with three pairs of slender pointed major setae, anteromarginal setae small, midlateral setae scarcely half as long as anteroangulars. Fore tarsal tooth small. Metanotum without sculpture medially. Abdominal tergites II–VII without wing-retaining setae; tergite IX setae S1 pointed, considerably longer than tube. Species in the genus Hoplothrips frequently exhibit considerable sexual dimorphism, males vary in size with structural characters being allometric, and many species produce winged and wingless morphs. As a result, identification is difficult of the 130 species from around the world that are listed in the genus, many known only from few specimens, and there are no identification keys. The two species described from California are typical of the problems involved. H. baileyi Cott was based on a single winged female, and H. kincaidi was based on six wingless females; these two can thus not be compared. The original specimens of H. kincaidi appear to have lost their color when preserved in alcohol. 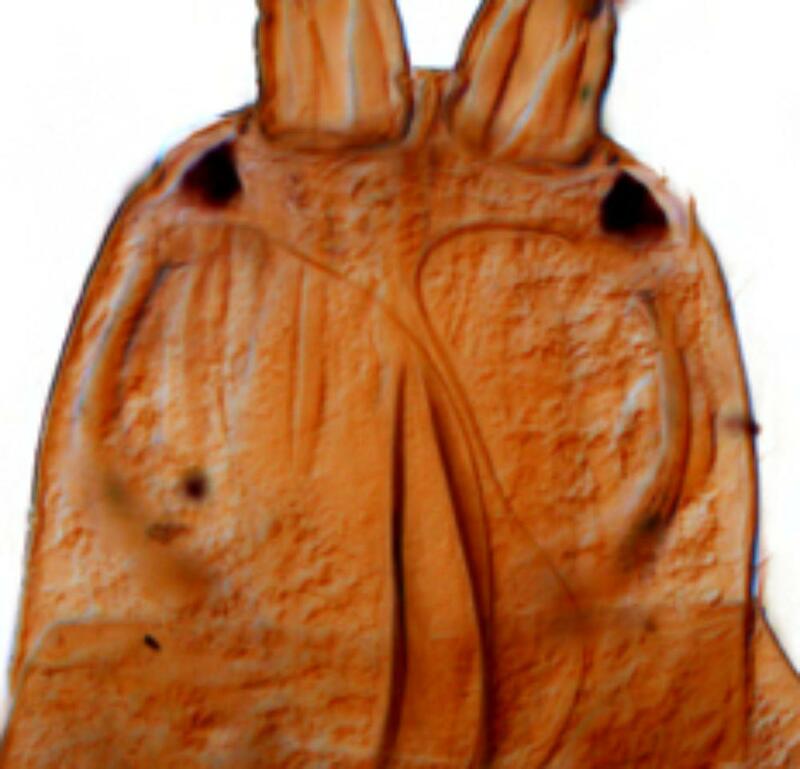 In structure they are similar to the common European species, H. pedicularius (Haliday), but the setae on tergite IX are longer than the tube, and antennal segments III–IV are more truncate apically each with only two sensoria.